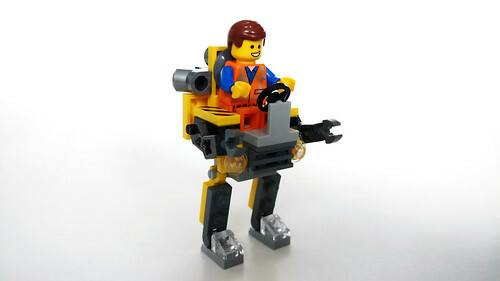 Continuing with my reviews of The LEGO Movie 2: The Second Part polybags, the next one I’ll be looking at is the Mini Master-Building Emmet (30529). It has 49 pieces and retails for $3.99 and I found mine at Target near the checkout lanes. 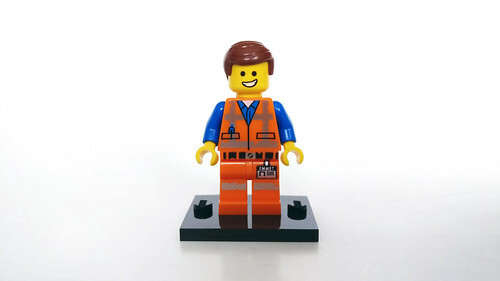 The set does come with a minifigure of Emmet and according to Brickset, this version of him is exclusive to this polybag. 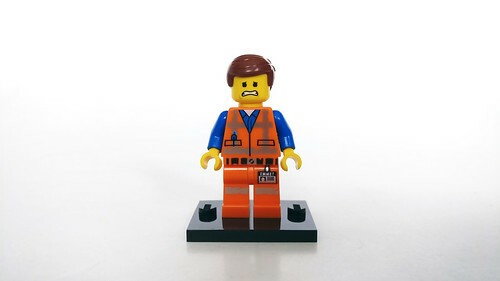 He does have the same orange and blue uniform that is worn out but his head piece is what collectors are looking for. It is double-sided with one side having his usual smile but the other side shows him with a scared look. 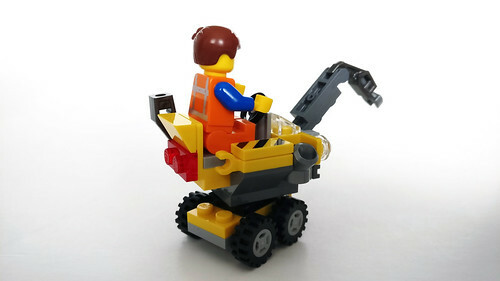 The main build that is provided with the instructions is the crane. For the amount of pieces in the polybag, the crane actually looks pretty good. The crane arm is on a hinge in the front and the whole top part sits on a turntable. This enables it to turn a full 360 degrees while the wheels are stationary. 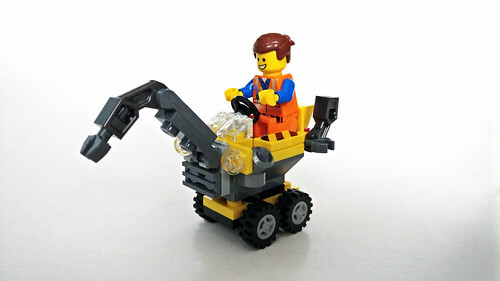 Since this polybag is a 3-in-1 build, there are also two other builds that are available on a PDF. 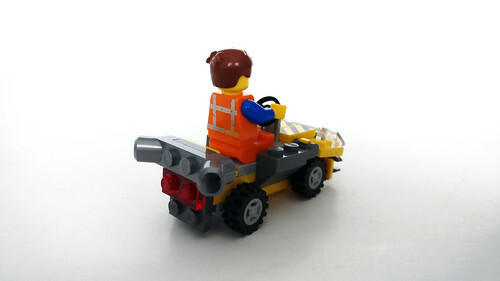 The second build is a car and it actually reminds me of the courtesty carts at airports especially with the caution tiles in the front. The back uses a plate with tubes that represents some exhausts. 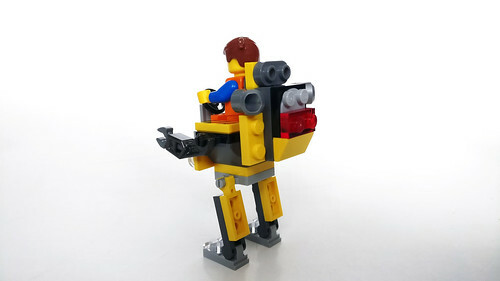 The last build for this polybag is a small bipedal mech. 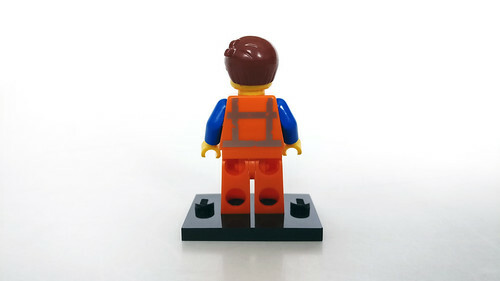 I will say that the back is top heavy and it will tip over if you have the legs straight up. I suggest leaning the legs forward just a tad to balance it out. The arms seem somewhat useless as they look like T-Rex arms. 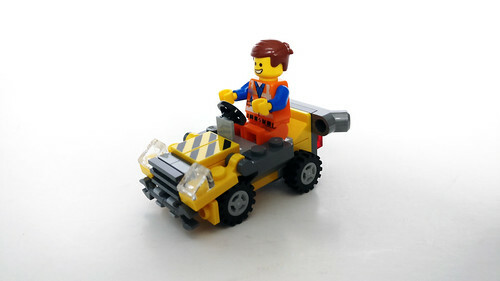 Overall, The LEGO Movie 2 Mini Master-Building Emmet (30529) is a decent polybag that you can get three recognizable builds from. 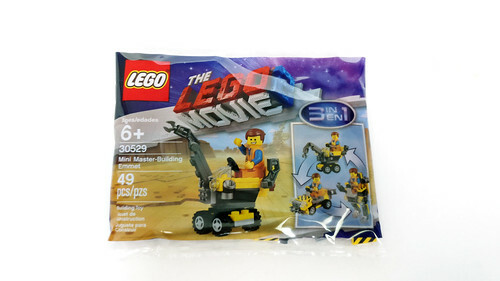 The main draw here is probably the Emmet minifigure since his head is exclusive to this polybag.